Ok. Yeah, we all know now. It was an elaborate joke. Performance art. A long con. And Dave wasn’t in on it (wink, wink). I hope it’s not untoward of me to point out the irony: Dave jokingly holds Joaquin up for a million dollars, or else he’ll sue. Um… didn’t something like that just happen to Dave? He knows extortion schemes don’t work out, right? Oh, and remember, you can watch the year-ago appearance they’re referencing by clicking here. Set Your TiVos! 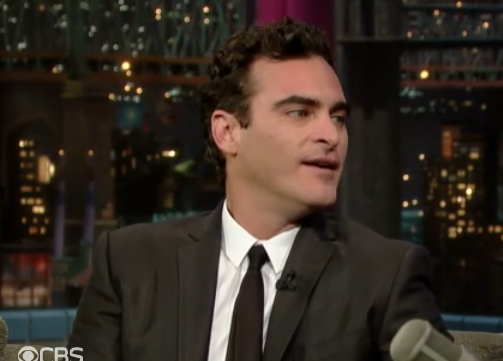 Joaquin Phoenix Returns Tonight!